The High Court judgment in the Sovani James case makes for difficult reading. The High Court ruled that the Solicitors Disciplinary Tribunal was wrong to suspend her and, instead, ordered that she be struck off. It would be a cold-hearted person who does not feel some sympathy for Miss James' situation as she describes the terror she felt in the workplace and how her mental health deteriorated to such a degree that her hair fell out and she put on weight. There is no doubt that Miss James was working in a high-pressured and deeply unpleasant environment. However, there are mixed views as to whether or not a striking-off was justified in this case, and to say it has caused controversy within the legal profession would be an understatement. On the one hand are those who think that the SRA and SDT should rule with an iron fist. It is drummed into solicitors that they are held to a higher standard than others and dishonesty is something that quite rightly is a big 'no no' in the profession. It is generally understood that if you act dishonestly, you will more than likely be struck off. In Miss James' case the dishonest activity lasted over a period of time and was not a one-off event and so it is arguable that the right decision was reached. Others have argued that such an outcome is unnecessary given that Miss James has moved on from the challenging situation she found herself in and she is no longer mentally unwell so as to commit dishonest actions again. A velvet glove approach is needed, they argue; a bit of understanding for those who are vulnerable wouldn't go amiss and there is a world of difference between the dishonesty of stealing client money for your own ends and that of backdating some letters because you are terrified of your superiors and have developed a mental health problem. In theory, it does seem like the right decision was reached but morally it's not quite so clear cut. The profession must resist creating unachievable standards of perfection. What is clear from the High Court judgment is that highly stressful work conditions do not amount to 'exceptional circumstances' needed to avoid being struck-off. That is quite a sad state of affairs as normalising working weekends and holidays as well as creating a culture of fear in the workplace seems like a huge backwards step at a time when well-being and mental health awareness have never been so well understood or talked about. If the point of discipline is to maintain standards, restore public faith in solicitors and protect the public from rogue ones, then arguably a middle way between fist and glove should be sought and in this case I think the SDT had it right. Join Nick Leale from Blake Morgan and a host of other experts as they discuss key themes and issues at the Disciplinary and Regulatory Tribunals Conference 2019. This conference will take place on London on 5 March 2019 and the agenda will be available soon. To note your interest in the meantime, please email client.services@clt.co.uk. 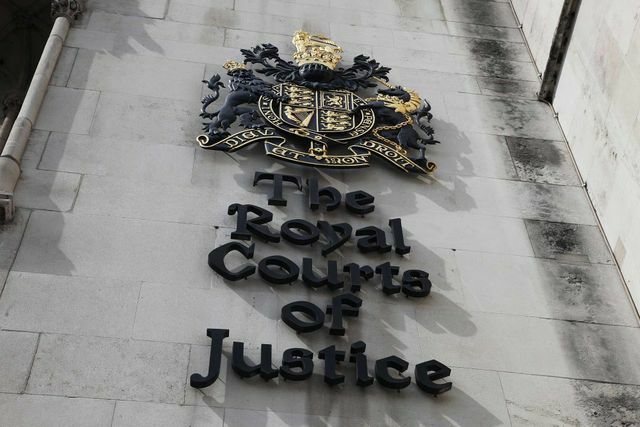 An SRA spokesperson said today: ‘We welcome the clarity that the High Court judgment brings.’ The regulator sought to argue that dishonesty should be a ‘red line’ issue which almost inevitably should lead to a solicitor being struck off. the regulator's lawyers argued that while mental health problems and workload were explanations for mistakes and negligence, they could not be an excuse for dishonesty. But representatives for the solicitors submitted that the legal profession should take a more nuanced approach to sanctions, taking into account the factors which pre-dated any misconduct and assessing what risk, if any, they still posed to the public. In the James case, the court had been scathing about the environment in which the solicitor worked, with Lord Justice Flaux describing the way James was treated as ‘frankly abominable’.